April | 2015 | YA? Why Not? I had a nice busy weekend during which I managed to once again NOT finish painting my bathroom and NOT start my spring yard clean-up. That is all going to have to wait until I return from visiting my sister and brand new nephew in Montana! Only 2 more sleeps! I also didn’t get much reading done either, but I did spend a lot of time with my nephews. Yesterday at the zoo I learned this interesting fact about elephants: they sleep on their sides, but only for about an hour at a time. I also learned that Willy, our zoo’s only male elephant is 11 feet tall and weights 13,000 lbs! Despite being social animals, he can only stand the company of the zoo’s four cows for a few hours at a time. My brother said he could relate, having grown up with 6 sisters! It’s Monday! 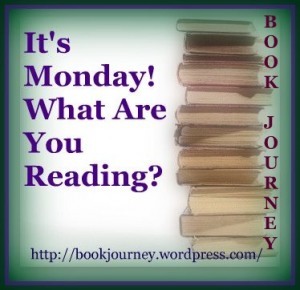 What Are You Reading is hosted by Book Journey (she is on a blogging break right now) and Teach Mentor Texts. The Motherless Oven by Rob Davis-♥♥♥. I am not really sure that I have words for this one. It’s quite possibly the weirdest graphic novel that I have ever read (and I am in love with Saga by Brian Vaughan. Talk about weird). This one can’t be found in our collection. I borrowed it through our Interlibrary Loan system. Mission Flats by William Landay-♥♥♥. When a well-known Boston D.A. 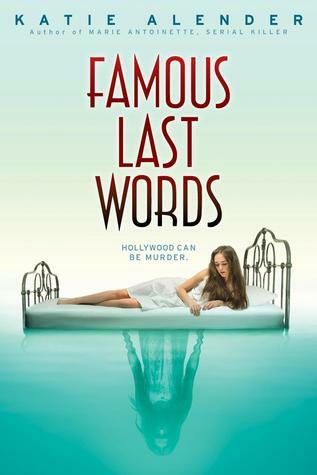 is found dead in a cabin in a small town in Maine, the local police chief heads to the city to investigate. He is immediately immersed in a world of drugs, secrets, and conspiracies that span 20 years. 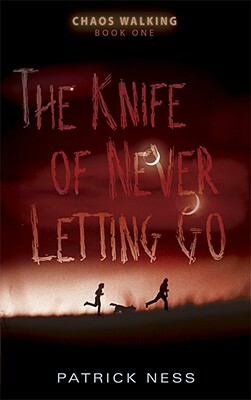 This is the first book from the author of Defending Jacob. A twisty-turny police thriller with a surprise ending! Lockwood & Co: the Whispering Skull by Jonathan Stroud-♥♥♥♥. The paranormal investigators of Lockwood & Co. have returned for another dangerous job! Competing against their rivals, the Fittes Agency, Anthony, Lucy and George must find locate a deadly relic created by a Victorian doctor who was obsessed with communicating with the dead. The team receives help from an unusual source: a skull in a ghost jar. This second installment of the series is loads of fun! Creepy and suspenseful. Readers will get lost in the imaginative alternate reality. The Lost City of Z by David Grann. Time for some nonfiction! The Spellman Files by Lisa Lutz. I rarely reread, but I had an urge to revisit the Spellmans! The Dead Girls of Hysteria Hall by Katie Alender. More ghosts! 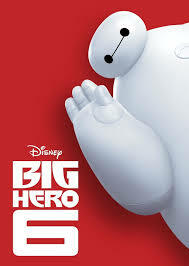 I spent a lot of time with my nephews this weekend and we managed to watch both Big Hero 6 (which we loved!) 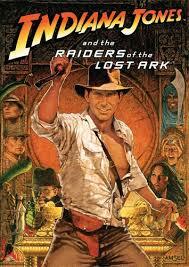 and Indiana Jones and the Raiders of the Lost Ark (which the boys really liked!). 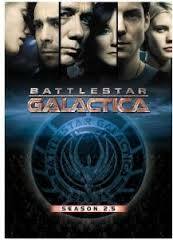 I also made more progress in Battlestar Galactica season 2.5. 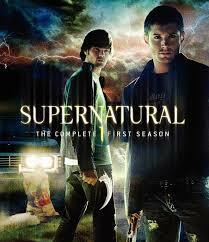 After a brief and frustrating bout of insomnia, I turned to the familiar first season of Supernatural. 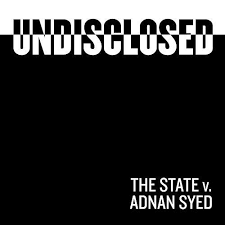 Undisclosed is a new podcast the examines the case of Adnan Syed. I devoured Serial and was excited to discover this new podcast. Bingo is a 15-year old orphan in Nairobi. He’s a grifter, a survivor, and the slum’s greatest drug runner. His days are spent running the “white,” hanging out with his friend Slo-George, and trying to stay out of trouble. But in the drug business, trouble is always just around the corner. After witnessing a murder Bingo is sent to an orphanage for protection. Here he learns even more about corruption, hustling and running. You might enjoy Bingo’s Run because it is a gripping portrayal of life in an impoverished African city. Despite Bingo’s flaws and the hardships he endures, the story is full of mythology, humor and hope. A fascinating read. This week’s Top Ten Tuesday, hosted by The Broke and the Bookish, is about inspiration that can found in our favorite books. I am not one to jot down favorite quotes, so this is a challenge for me. 3. “Sometimes people are beautiful. Happy Monday! I know, Mondays can be tough, but my family has just had a week of excitement and I am all smiles this morning. Last week we got brand new baby (it’s a boy! another nephew to smoosh!) and a new soon to be sister-in-law. My little brother is engaged! Now, if the home team can just get their act together, all will be right. All this good news plus the addition of baseball plus Battlestar Galactica, plus a new manuscript from my dear friend have all contributed to my neglecting most of my library books. It’s Monday! What Are You Reading? is hosted by Book Journey and Teach Mentor Text. Three Wishes by Liane Moriarty-♥♥♥♥-Another fun, quirky, family dramedy! At 33 the Kettle triplets are still dealing with sibling rivalry, family secrets, and a seemingly endless stream of drama. This was another fun audiobook! The Wizard Returns by Danielle Paige-♥♥♥♥-This is the third prequel novella in the Dorothy Must Die saga. The wizard is back in Oz and he is about to shake things up. I am really excited about this interesting new twist. I must get my hands on The Wicked Will Rise! Cat Person by Seo Kim-♥♥♥♥-The author/artist chronicles everyday occurrences in her life. Her cat, Jimmy stars in many, but not all of the comics. Topics range from serious to silly and all are charmingly illustrated. Home by Carson Ellis-♥♥♥♥♥-This solo-picture book debut from the well-known illustrator of the Wildwood Chronicles is so wonderful! The homes range from realistic to fanciful and all are gorgeous. The real treat is getting to see her home. The careful reader will remember seeing items from the artist’s house in the previous pages! In the near future a virus sweeps through the world population. For a small percentage the result of the disease is a condition known as lock in. They are fully awake and aware, but unable to move their bodies. With 1.7 million Americans affected, new medical technologies emerge, including systems that allow the locked in, also known as Hadens, to use the bodies of the healthy. Things get really tricky when an Integrator is found at the scene of a murder.Who is the guilty party? The Haden who is using the body of the Integrator or the Integrator who’s body did the killing? 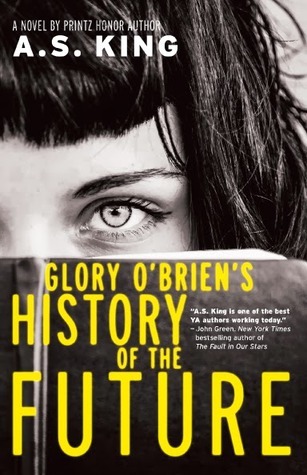 You might like it because it is an engrossing and thought-provoking science fiction read. Lock In offers a disturbing look at humanity, medical ethics, political corruption, and technology. And there are robots. So far, this is my favorite of this year’s winners. Try Ready Player One by Ernest Cline or Eye of the Mind by James Dashner. This week’s Top Ten Tuesday, hosted by The Broke and the Bookish, is about favorite characters that we would love to follow with long after their stories on the page end. 1. Jacky Faber from the Bloody Jack series by L.A. Meyer. This one is a no-brainer. I adore Jacky. I want good things for that girl. 2. Akiva and Karou from Daughter of Smoke and Bone by Laini Taylor. Despite the satisfying ending, I just know there is so much more to explore in this amazing world! 3. Cassel Sharpe from the Curse Workers series by Holly Black. I so desperately want more of this story. 4. 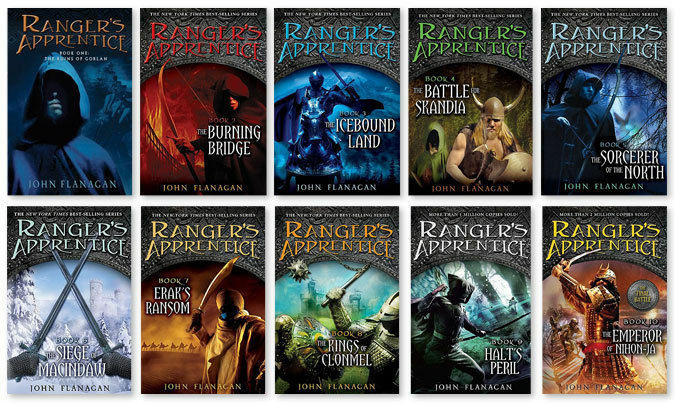 Will and Halt from The Ranger’s Apprentice series by John Flanagan. These two are as dear to me as Jacky Faber. I miss them terribly. 5. June and Day from Legend by Marie Lu. 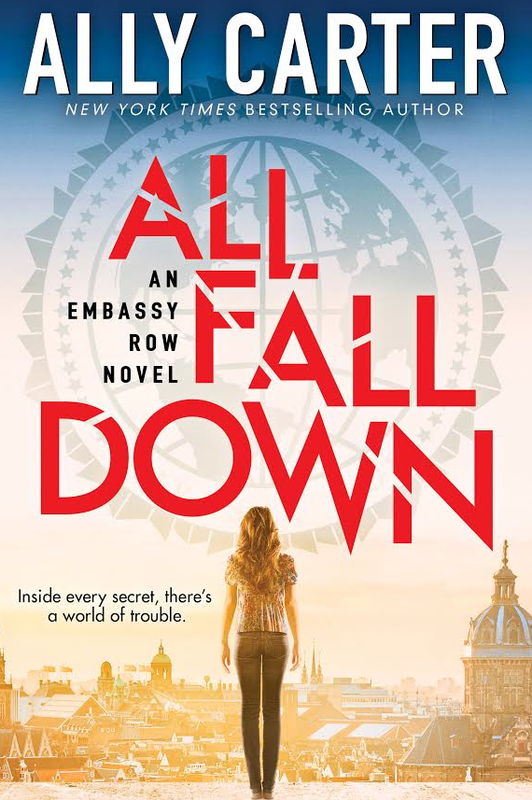 I really loved how this series ended, but I sure wouldn’t mind finding out what happened next! 6. Samantha and Annamae from Under a Painted Sky by Stacey Lee. Oh, the stories there must be! 7. Pretty much anyone from an A.S. King book. 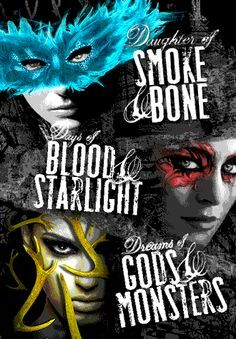 Her characters are so real and often flawed and in the end you always have a glimmer of hope for them. I would love to check in and just make sure that things truly did get better. 8. Ed Kennedy from I am the Messenger by Marcus Zusak. Ed has so much potential. He’s such a good guy! 10. Darla and Alex from the Ashfall trilogy by Mike Mullin. This is another series with a great ending, but I certainly wouldn’t say no to more! There are so many more, but I’ll stop at ten.